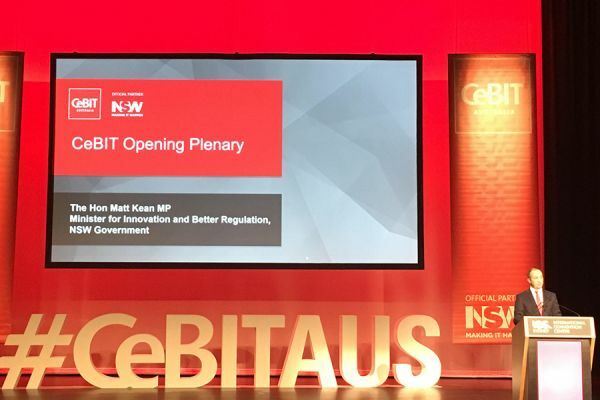 The NSW Government was out in force at this morning’s opening of the global technology exhibition and conference CeBIT Australia to promote the state's thriving business technology and startup environment to thousands of domestic and overseas visitors. The three day CeBIT has attracted about 350 exhibitors from across 34 countries and is expected to attract 15,000 visitors between today and Thursday. 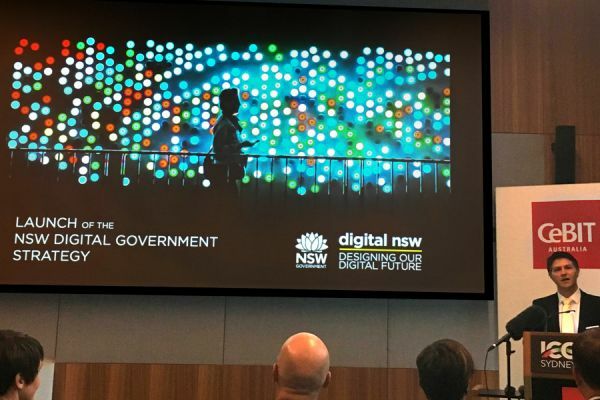 NSW Minister for Finance, Services and Property Victor Dominello kicked the first day off with an early morning announcement of a new Digital Government Strategy to transform the way government serves the people of NSW. The strategy prioritises improved customer service, the use of real time data to provide insights and develop better policies, and the streamlining of government systems and smarter services by delivering transactions via digital channels. “I want to build people’s trust and confidence to engage with government digitally and develop the government’s capacity to use new technologies and deliver better services,” Mr Dominello said. The Strategy’s launch coincides with the planned introduction of a Digital Government Bill to Parliament. 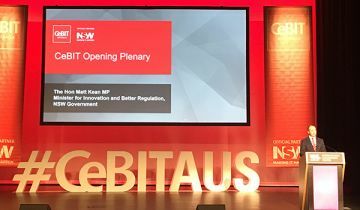 NSW Minister for Innovation Matt Kean later spoke at the official opening plenary of CeBIT telling delegates the NSW Government’s sponsorship of the event strengthened NSW's position as Australia's leading technology and startup state. 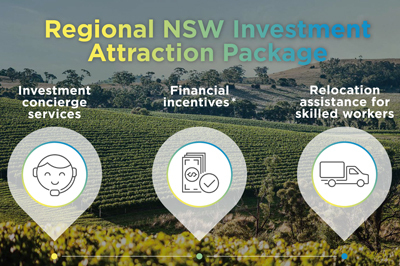 Mr Kean said the NSW Government was focused on the growth of the state’s startup sector with the Jobs for NSW’s Jobs for the Future identifying their job creating potential. A range of initiatives were cited, including the Boosting Business Innovation Program which was helping to connect our university sector with businesses and industry to drive innovation. “If there is one message i want to give you, NSW is open for business,” Mr Kean said. The Federal Minister for Innovation Arthur Sinodinos also pointed to NSW and Sydney's strengths at the opening plenary. The morning session included a fascinating presentation from Dennis Andrucyk of NASA on how the organisation is using big data to explore outer space. Space is one growing technology sector backed by the NSW Government. For example, Maitland company Obelisk Systems - one of 12 startups supported by Jobs for NSW and exhibiting in CeBIT’s StartUp Zone — has created a new STEM learning system which challenges high school students to use software, coding and robotics skills to build a replica Mars Rover and then program it to navigate alien terrain. Other highlights of CeBIT’s first morning included a CEO panel on leading high performance organisations with a focus on innovation and growth, future proofing business, and building capability and collaboration. On the exhibition floor, thousands of visitors toured the stands which represented a who’s who of the technology world. 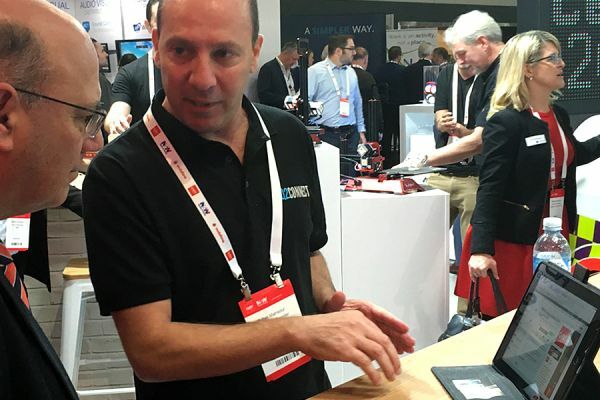 The NSW stand at CeBIT is featuring seven outstanding companies: ICT International, Me3D, Premonition, Q2 Connect, RIbit, Slasherteck, and TechConnect Global. Armidale company ICT International conducted a morning presentation on how its digital environmental sensors are being used for cutting edge plant and soil research worldwide. Managing Director Dr Peter Cull demonstrated a live data feed via the cloud from a 170-year-old Moreton Bay fig tree located near Government House, which is monitoring its water usage in response to changes in climatic conditions. Monitors show the tree uses up to 800 litres of water per day in summer conditions. ICT International’s technology, which has been exported to more than 50 countries, is being used worldwide for agriculture management and plant insights, including to monitor the impacts of climate change on giant American redwood trees in California.